Public sculpture is a major draw in today’s cities, and nowhere is this more the case than in New York. In the Big Apple, urban art has become synonymous with the municipal “brand,” highlighting the metropolis as vibrant, creative, tolerant, orderly, and above all, safe. Sculpture in Gotham tells the story of how the City of New York came to be committed to public art patronage beginning in the mid-1960s. In that era of political turbulence, cultural activists and city officials for a time shifted away from traditional monuments, joining forces to sponsor ambitious sculptural projects as an instrument for urban revitalization. Focusing on specific people, agencies and organizations, and both temporary and permanent projects, from the 1960s forward, Michele H. Bogart reveals the changing forms and meanings of municipal public art. 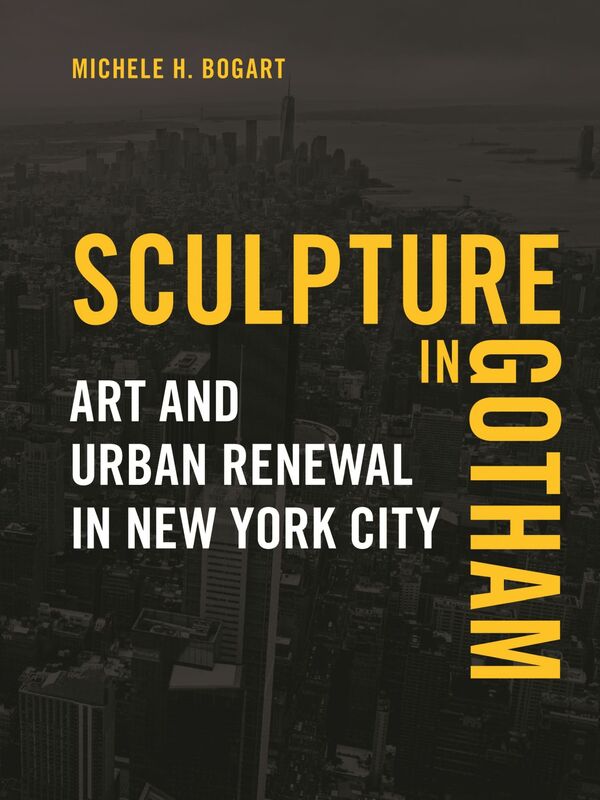 Sculpture in Gotham illustrates how such shifts came about at a time when art theories and styles were morphing markedly, and when municipalities were reeling from racial unrest, economic decline, and countercultural challenges—to culture as well as the state. While sculptural installations on New York City property took time and were not without controversy, Gotham’s processes and policies produced notable results, providing precedents and lessons for cities the world over. “Public art has dramatically impacted communities and brought art to millions. It has become part of New York’s DNA. Sculpture in Gotham is a fast-paced story of New York’s fifty year public art revolution, moving from commemorative statues to Olafur Eliasson's Waterfalls. In the mix are visionary leaders, artists, and the changing role of government and philanthropy, all described with drama and insight."